This is a group of angels that get very large and, for the most part, aren’t reef safe. Although a number of people have been able to keep them in reef tanks, most will pick at corals, clams, and worms in the tank, so if you introduce one into your reef tank, they need to be carefully watched. For the most part they do very well in FO or FOWLR tanks, but they need tanks that are at least 6 feet or larger. They need to be fed a large amount of greens and meaty foods which will put a heavy load on a filtration system. This is a very hardy angel that does well. It doesn’t grow very large and smaller adult sizes can regularly be obtained, and even small ones will develop long streamers. They do very well with other large angels, too, but the other angels may bite off their streamers. They are generally not too aggressive, though as they get larger they can become very aggressive. 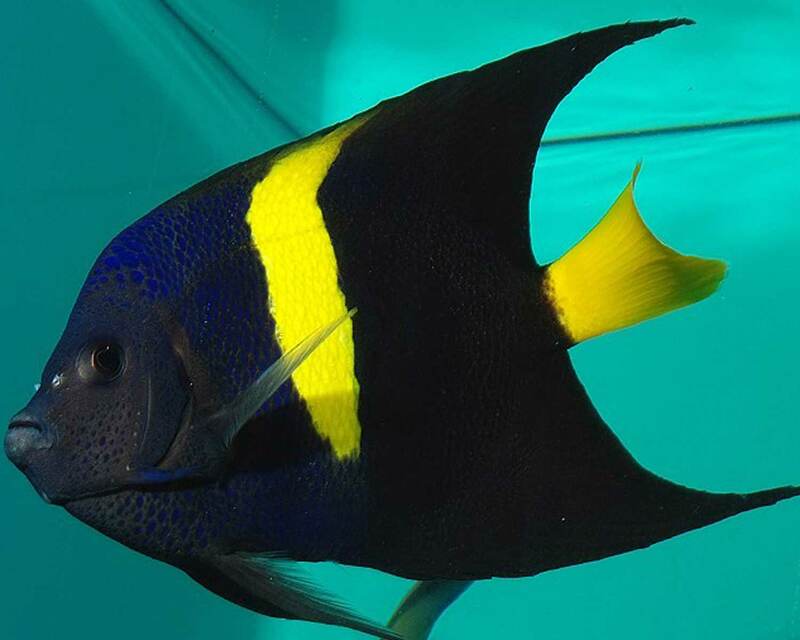 Smaller adults have been kept in reef tanks but like all angels, you need to watch them as they will pick at corals and clams.